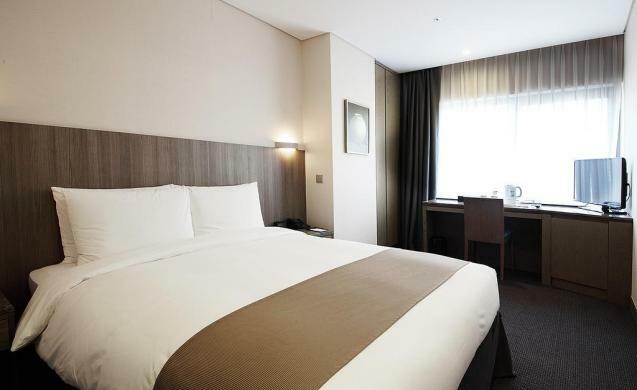 Are you staying in Korea during the hottest and humid times of the year? Do you feel like sticking your head in an ice bucket or are you losing your appetite and feeling energyless? Here are a list of 12 foods to help you survive the sweltering heat. Simply means ‘cold noodles’, naengmyun became hugely popular after the Korean War. There are mainly two varieties of naengmyun: mul naengmyun (plain) and bibim naengmyun (spicy). The hand-made noodles are served fresh with a delicious, ice cold soup stock, sliced cucumbers and Korean pear. During the summer, it is a great substitution for heavy, meaty meals. Looking for a Naengmyeon Restaurant in Seoul? Check out the oldest and most famous here! Samgyetang is a bowl of hot broth with a whole chicken which is stuffed with glutinous rice, ginseng, jujube, ginkgo nut, and garlic. It is a hot dish, so why on Earth do people eat this during the hottest days of the year? Well, during the Korean Summer people sweat a lot to cool down the body. However by losing this internal heat, your appetite reduces and become more energyless. By eating this extremely nutritious dish it replenishes the lost internal warmth in the body, hence giving people an energy boost. There is a saying in Korea that by fighting the heat you must fight it with heat as well. This is called ‘yi yeol chi yeol’ (이열치열). Samgyetang is usually eaten at the hottest days of summer: Chobok, Jungbok and Malbok (collectively known as Sambok). Chobuk and Jungalbok has just passed, however Malbok will be on the 12th August this year so relieve the heat Korean style and visit your local Samgyetang restaurant on this day! Going to be in Myeongdong? See out our favorite Samgyetang Restaurant recommendation in our Myeongdong E-Book! 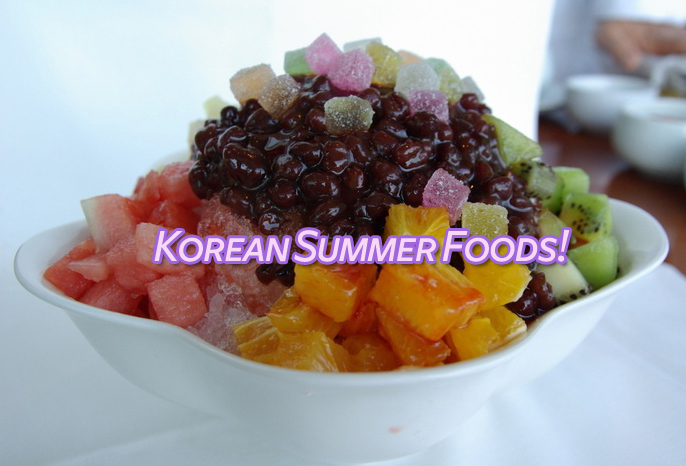 Patbingsu along with samgyetang and naengmyeon, is considered to be one of the most popular summer dishes in Korea. For those who don’t know yet, Patbingsu is made up of shaved ice topped with sweet red beans and ice cream. Due to its popularity the majority of cafes in Korea will have this on their summer menu with their own unique styles and flavours for example you can now have mango bingsoo, berry bingsoo, cookie bingsoo, coffee bingsoo etc. There are literally some crazy styles of bingsoo in Korea nowadays and due to the sweltering heat it is a great alternative to sticking your head in an ice bucket. One of my Korean summer favorites is Oi Naengguk! No 보신탕? Heh… I guess you probably can’t get it in Seoul anyway. Could you write the food names in korean?? I´m trying to learn korean language by myself.